DGT Photo: Architect's Perspective - the Address of Amazing! A prime business address will soon be expected in Davao City as Cebu Landmasters partnered with the Villa-Abrille clan to build the Davao Global Township - the Address of Amazing! The 22-hectare former Davao Golf course will become the main address of the Davao Global Township. 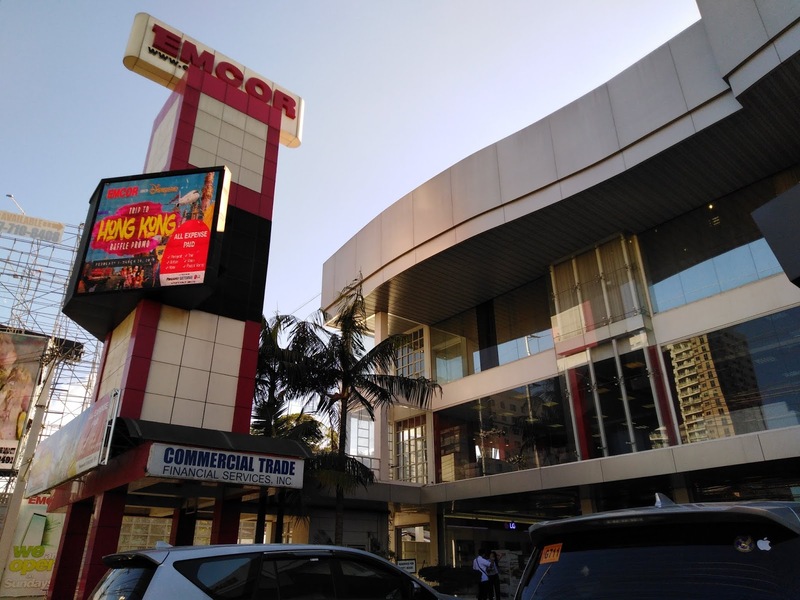 The launching activity has shown the first phase of development wherein it includes a corporate center, two (2) premier residential towers, a retail strip that will be known as DGT Town Strip and a civic center that will be known as DGT Gallery. Phase 1 of DGT is estimated to cost P10 billion with an extensive 93,000 square meters of gross floor area as envisioned by YHEST with masterplanner RTKL, a global planning and design firm responsible for the revival of some downtown centers in the world. DGT Phase 1 is set for completion in 2022. The Villa-Abrille family is one of the oldest clans in Davao that is into leasing of commercial offices and buildings such as Matina IT Park and Sutherland Global Services. They launched Davao's first residential subdivision in 1952 and put up the Davao City Golf Club, the first and oldest golf course in the city until it was closed in 2018 to make way for DGT. “As the descendants of Juna Villa-Abrille, we commit ourselves to his legacy of hard work, humility and generosity. We are happy that in our generation, we are able to kick-start all these simultaneous developments and there’s no better way but to partner with VisMin’s leading developer Cebu Landmasters,” YHEST Realty’s Yuson said. He explained that his family decided to partner with CLI because of its vision to be the regional top property company in the Philippines and ability to quickly turn around its projects. DGT is their third and biggest project together with CLI. MesaTierra, a garden residential condominium is already 98% sold-out. The Paragon Davao, a mixed-use property that will host Citadines Paragon Davao, was launched in November last year. The residential component One Paragon Place is already 75% sold in first 3 weeks of selling. “Things are happening fast in our generation and we trust CLI’s expertise particularly in the VisMin market,” he said. Living up to its name as a future business district inspired by the Cebu IT Park and the Bonifacio Global City, the project is expected to host business process outsourcing and other firms. This is really a big, interesting development in Davao City and will really generate a lot of jobs as the construction starts and after the completion. Thank you for visiting my avenue, www.ten7avenue.com! 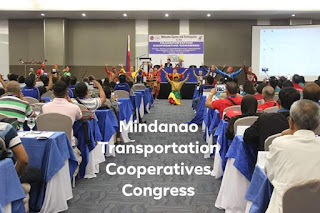 Recently, the Mindanao Transportation Cooperatives Congress was held in Davao City. It was participated by cooperatives from different parts of Mindanao. 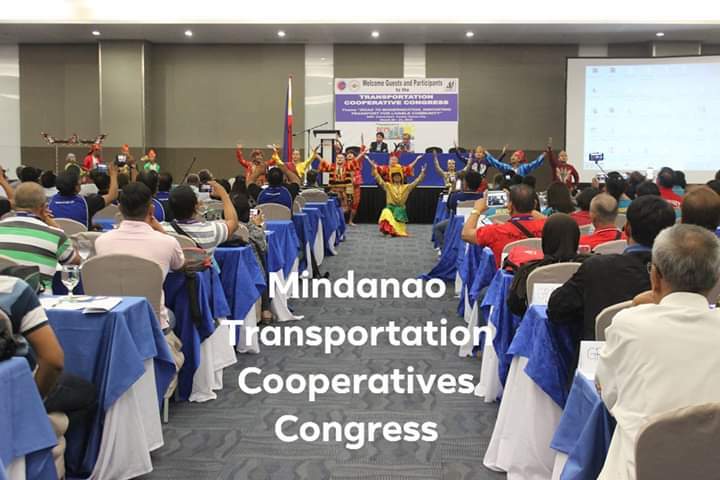 The cooperatives present were from UV Express/Tourist Service, motorcycle for hire, taxi service, public utility jeepney (PUJ) / multicab, buses and multiple types of units. The event was also graced by representatives from the Department of Transportation, Office of Transportation Cooperatives, Land Transportation Office, Land Transport and Franchising Regulatory Board and City Government of Davao. The event was conducted to discuss the Public Utility Vehicle Modernization Program (PUVMP) which is part of the Duterte administration's legacy for a safe, reliable and comfortable mass transportation. It was a very big ticket of transformation, there were a lot of challenges but a strong political will made a step towards achieving the goals of the program. The current situation of our mass transit is really not at par to international standard. It may be a "very Filipino" to have the jeepney in the streets, but it is not safe, reliable and comfortable at all. There may be health risks that can be associated with these mass transport and a lot of times being involved in the vehicular accident. There are a lot of question of road safety and road worthiness of such vehicle. However, with the PUVMP, it aims to modernize our transport fleet, reform the current system of the industry, be environment friendly, change the way Filipinos do mass transport and improve income among drivers and the industry itself. 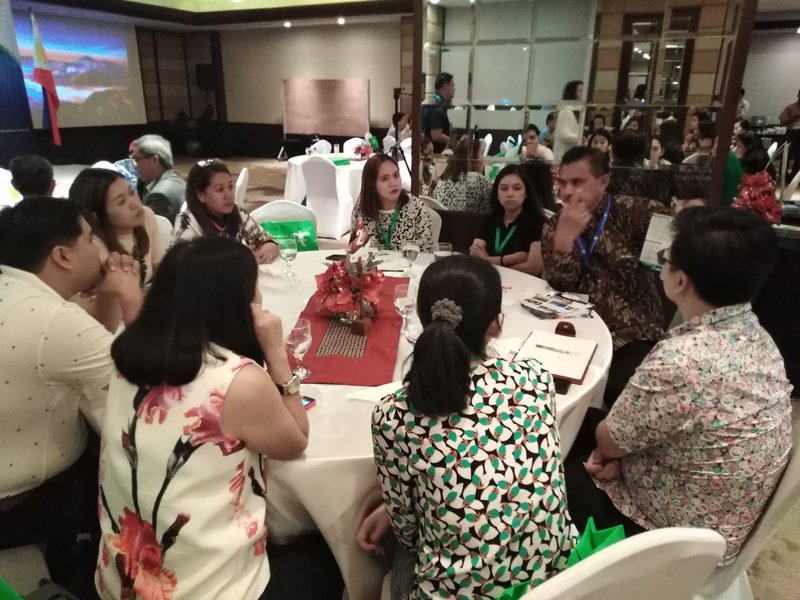 So far, within this program, Local Government Units (LGUs) are very much involved as they are more knowledgeable about the situation in their own localities. This step is among the best ways to make the transformation more appropriate. So far, there are a number of LGUs and cooperatives in selected areas who took the risk of adopting the program and it has been reaping good results! The government is very willing to help the cooperatives achieve the goals of the program. One thing is through the 5-6-7-8 mechanism which involves loanable amount from Landbank and Development Bank of the Philippines - 5% equity, 6% per annum, 7 years to pay and P80,000 subsidy from the government. There are high hopes for this program as it will be a step to make our mass transportation more systematic, safe and comfortable. I am very happy with its initial start and very hopeful for its full implementation as the congress has helped the cooperatives understand more of the program. Aside from that, many suppliers are eager to help the cooperatives realize their needed transformation. I hope this article helps! As a frequent traveler, this modernization program will bring us closer to what the international community has been implementing years back. We are yet to explore and start but never too late to be on track. We need to learn how to adapt with changes and deal with it in our daily lives. Modernizing our transport system will also make the middle class opt more for public transportation and have their private cars rest for a while in their own garage. A more efficient transportation system will reduce the number of vehicles running in our streets! In the Alveo IronMan 70.3 Davao this year, Sun Life Financial Philippines participates and highlights its health and wellness thrust. It is a way that the company can encourage more Filipinos to have better and healthier lives. 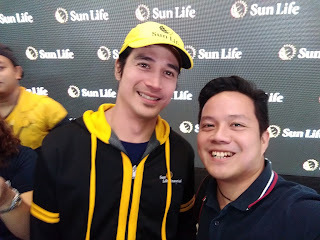 Piolo Pascual is one of the ambassadors of Sun Life and he will be proudly wearing the colors of the company as part of the Sun Life Tri-Team - doing the bike leg which constitutes 90 kilometers. Together with him are other triathletes, Jan Michael Chiu for the swim (1.9 kilometer swim) and Toniel Ty for the run (21 kilometers run). It is going to be the first time of the team to participate in the IronMan leg in Davao and they expressed much excitement. 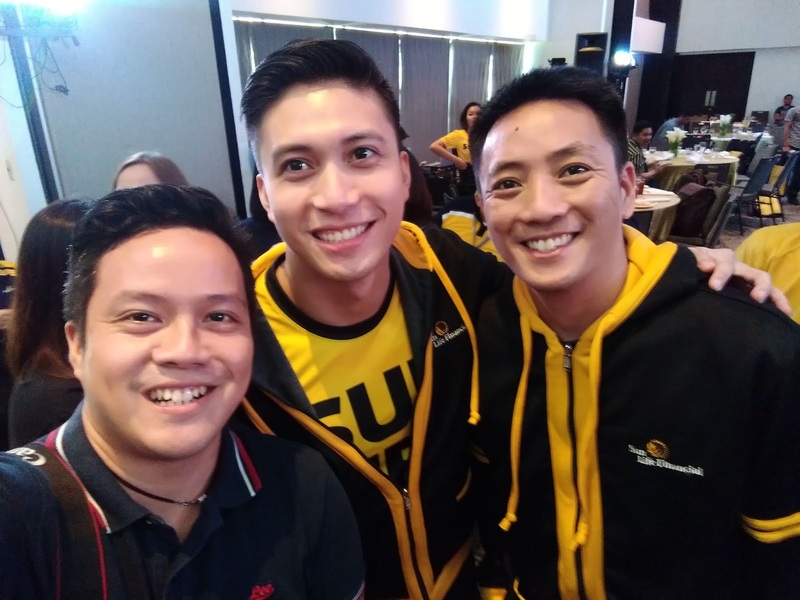 There are other Sun Life representatives in the person of Herbert Juaneza, Sun Life’s Business Development Manager, and Aslagan Cuyugan, Sun Life Training Manager, for their individual category. A presscon has been conducted to share the excitement of the Sun Life team. It has also allowed the triathletes to share how they prepared for the race. It is indeed a team to look for during the race! Sun Life will also hold a free workout for members of GoWell, its health and wellness community. GoWell has tapped certified Pound instructor Marge Camacho to lead a Pound workout, a full-body drumming workout session that combines cardio, conditioning, and strength training with yoga and pilates-inspired movements. It is performed to the beat modern music using Ripstix, drumsticks designed specifically for the said workout. 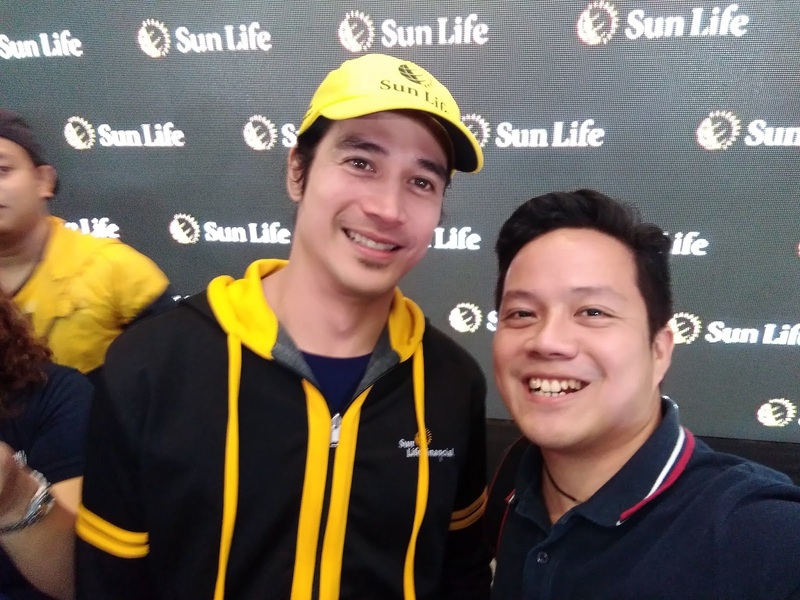 Athletes and guest who will visit the IronMan Expo are also encouraged to visit the Sun Life booth at the Azuela Cove from March 21 to 25 to avail of giveaways. 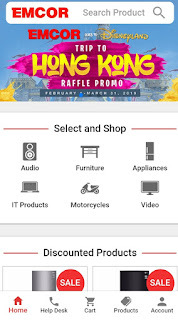 It will also be a first time that Lazada will give some vouchers for Life Armor, a digital Sun Life insurance product exclusively offered to registered Lazada members. Earlier this week, Sun Life has held the GoRide GoWell Meet, where participants were not only briefed about the IronMan Davao bike course, but were also treated to a free financial planning session. 400 participants were also given Sun Life jerseys, which they donned during the Sun Life Bike Out. On the race day, Sun Life will be providing IronMan athletes with sports bottles for hydration. 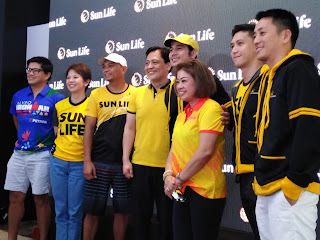 This is really one of the initiatives that the Sun Life has to encourage more Filipinos to have healthier lifestyle which can also give positive results in the finances. For updates on the Sun Life Tri-Team’s Ironmen race, follow @sunlifeph and @gowellph on Facebook and Instagram. Check out the official hashtags #sunlifeironman2019 and #livehealthierlives. Also, by next month, Sun Life will be doing 5150 race in Naga, Cebu. Another triathlon that the country will be seeing and still a Sunrise Production. 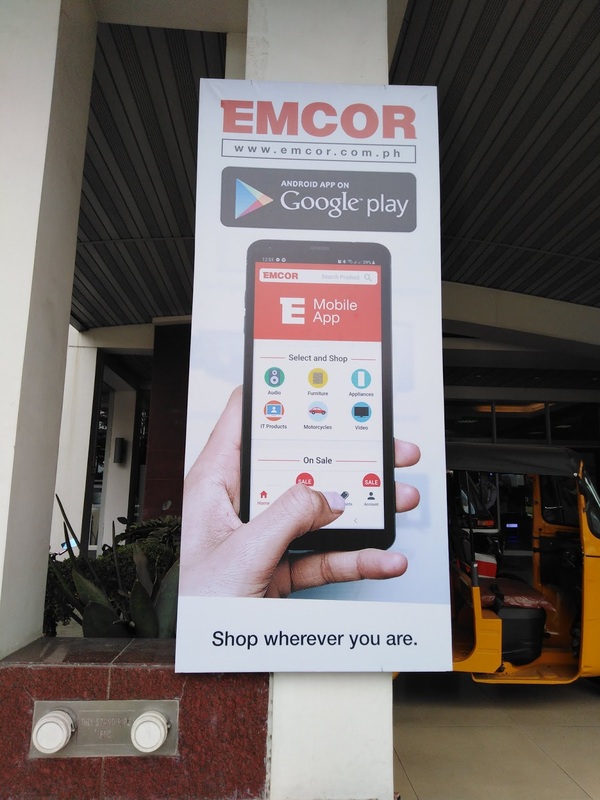 EMCOR, Inc. has launched their first and newest mobile application for the convenience of its patrons and soon to be customers. 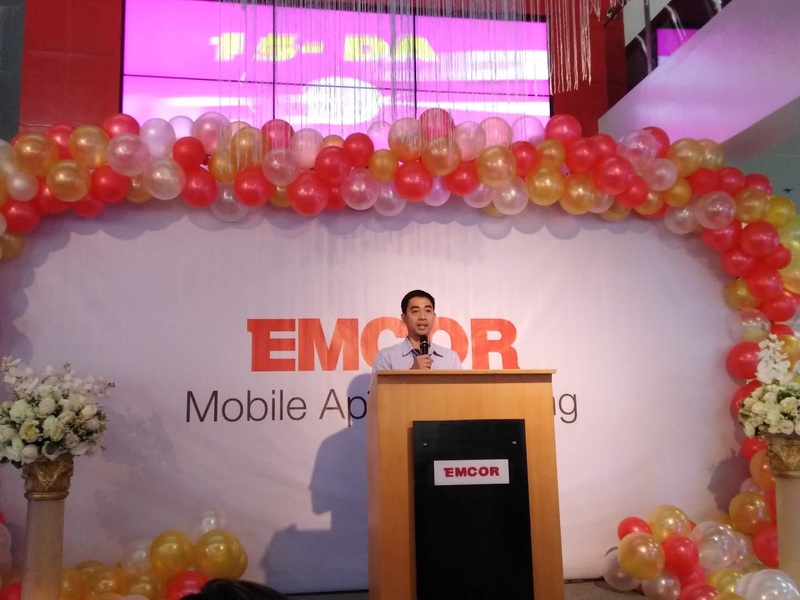 This step is said to be the company's strengthening of their presence in the e-commerce sector as more and more people are getting more digital in purchasing goods. This mobile application is ready to be installed through the Android Google Playstore and soon will be available on the Apple App Store. 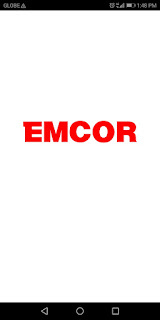 4) Account management to easily see your EMCOR transactions. Truly, the features are very simple but helpful! 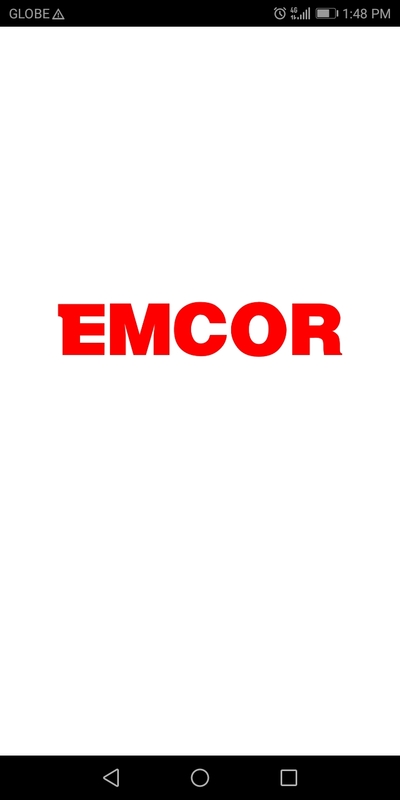 It is a response to EMCOR's commitment in fulfilling their mission to aim for continual improvement in the quality of products, services and internal processes. I can say that it is indeed user friendly, and you have to sign up to complete your purchases. Aside from that, it is a way of doing your appliance, furniture, motorcycle, and gadget shopping without going to the physical store and pay according to your chosen option and add the standard delivery payment of ₱500. Another aside from that, part of EMCOR's services is for the maintenance of purchased items which can also be accessed through the application - no payment for visit and check unless there are parts needed to be purchased. That is a wholistic approach for the e-customers! EMCOR is a homegrown company, from Davao City, that is known for its retail services. It is among the biggest names in the industry, visible in Palawan, Visayas and Mindanao. With over 146 stores and networks, the company is one of the biggest in the country. Thank you for visiting my avenue, www.ten7avenue.com - like my fb page: Ten7avenue or Instagram: fromdistrict82. Travel is life for an outgoing person like me. During the travel, it is essential to bring some items that will protect yourself from harmful sun exposure and insect bites. Good thing that Aromacology has some of its products good for such needs. Here are some of my experiences using their products. The sports spray. Yes, during a travel, sun exposure is pretty normal especially that you want to feel like a tourist: you will walk a lot. Walking along the streets under a very sunny day or enjoying the beach under the scorching heat of the sun, you will really get tanned or worse have much sunburn. It can be prevented using some skin products like a sunblock or sun spray, for instance, Aromacology's offer is a sports spray. It may be compared to other skincare products but theirs is a competitive one. Why? Most that I have tried, sunblock and even sun sprays are greasy and sticky. However, with the sports spray, it may appear greasy but it isn't and the feel is just gliding but eventually be absorbed by your skin. I love it that way. You can easily apply it to your body with a spray bottle and spread on your body parts. It comes handy with the 100mL spray bottle preparation. The hair treatment. Sun exposure will really make your hair brittle and scalp dry. The result of which will be dandruff. It isn't cool to have dandruff, right? Sometimes, it will also result to hairfall. So, a great hair treatment product will help much to prevent having dandruff and hairfall. With Aromacology's hair treatment, it feels cool on the scalp because of the menthol component and it is not greasy. The feel is just right and application does not take that long. At least 10 minutes, you can have a hair treatment at home, during your bath. You may have hair treatment at your favorite salon but you can have a practical hair treatment session at home with this hair treatment of Aromacology. I like this too, and definitely can recommend this to anybody. The lip therapy. Your lips will sometimes crack or becomes chap whenever you are getting acidic, thirsty or dehydrated. A lip balm or lip therapy can help moisten your lips and it is not just for women. Aromacology's lip therapy is like the other lipbalm available in the market only that it is more natural. It has a grapeseed extract thus its fruity smell which I like, and it is not greasy; it is just enough to moisturize your lips. The mosquito repellent cream. Traveling may need much time and most of the time, it is spent overnight. You may be a person who loves to go around at night wherever it is, it can be at the forest or any urban place but there is a risk for some mosquito bites. Aromacology has something for it. They offer a small bottle container that can be easily applied and be protected from insect bites. It is pretty handy and can be brought anywhere. Aromacology products are good to be given for your friends at any given occasion. 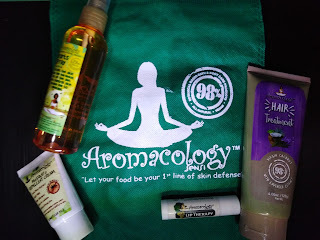 Visit any Aromacology branch and avail of these products that are good for your body skin care needs. Thank you for visiting my avenue, www.ten7avenue.com. Fans swear by NaverTV being the best Korean entertainment hub on the planet, but a lot of the content is exclusive to South Korea, so even if you have an account you’ll be barred from enjoying its shows. If you’d like to tune in from elsewhere in the world when you’re traveling, we have great news for you! 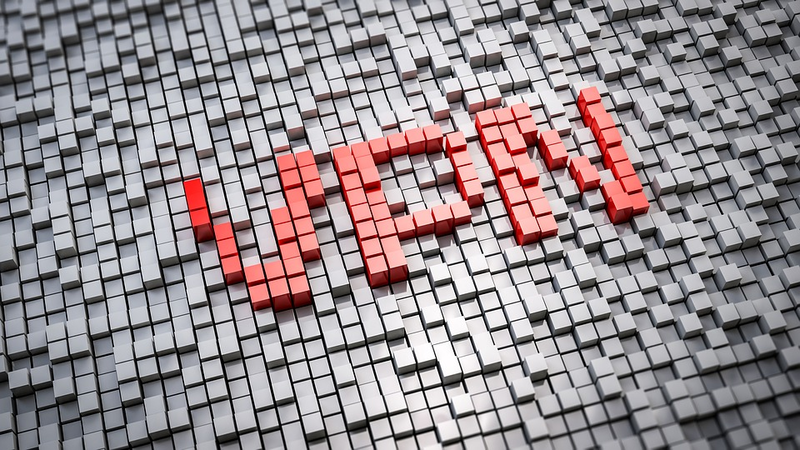 Read on to find out how to gain access with a VPN. The easiest way to access NaverTV from anywhere around the world is through the use of a VPN. A VPN is a tool designed to help you bypass geo-restrictions by switching your IP address. At the same time, it provides network security and guarantees the privacy and security of your network traffic. 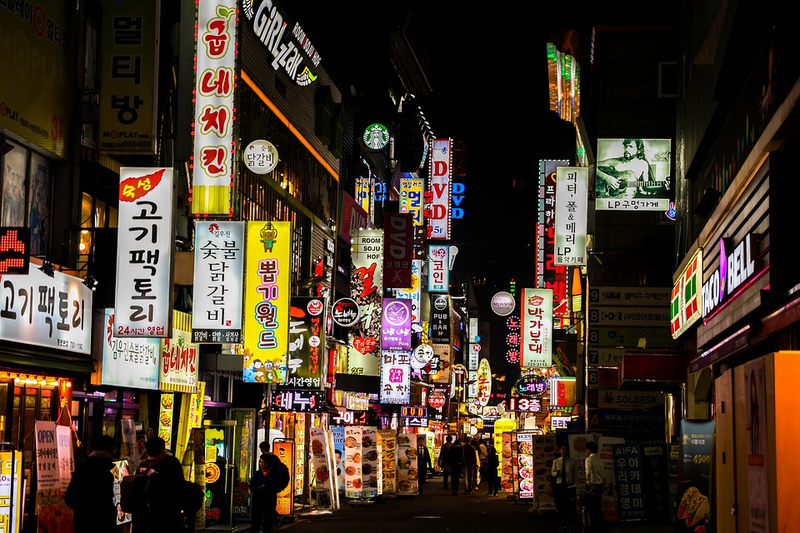 But how does a VPN help you stream South Korean Content anywhere in the world? 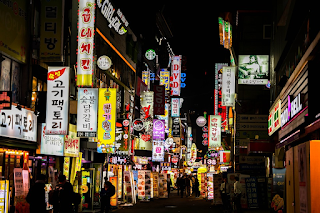 Typically, streaming platforms such as NaverTV limit viewership of their content to a precise geographic location – South Korea in this case. The mechanism usually relies on identifying your IP address, whereby devices with a South Korean IP address gain access. One must find a way to switch the IP address automatically assigned to their device if they wish to know how to overcome geo-restrictions, which is why a VPN is helpful. Once installed, a VPN provides the user with the option of selecting a VPN server location – a mechanism designed for network security but useful in bypassing such inconveniences as geo-blocking. The question is; Should a VPN only be used by those outside South Korea hoping to stream NaverTV? Why use a VPN when in South Korea? Streaming content requires a fast, stable connection, which could prove costly. That is one of the reasons people love public Wi-Fi so much. However, relying on such a connection could be a costly mistake, especially when you’re clueless about the risks of using public Wi-Fi. While the ideal way to avoid the dangers associated with public Wi-Fi such as hacking is to avoid the Wi-Fi altogether, that is not an option for those looking to enjoy NaverTV but lack the resources to put up their connection. Luckily, a VPN’s primary function is network security through the encryption of network traffic coupled with the IP switch. Therefore, even those still within South Korea should install a VPN if they wish to remain secure online. Much as a VPN provides all the convenient benefits, the quality of those benefits depends on the VPN. 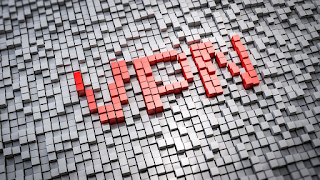 For instance, some VPNs store user data such as connection logs, which undermines your cybersecurity while others have a limited number of server locations, which affects your streaming. Your choice of VPN is, therefore, of critical importance for K-pop fans looking for quality streaming. 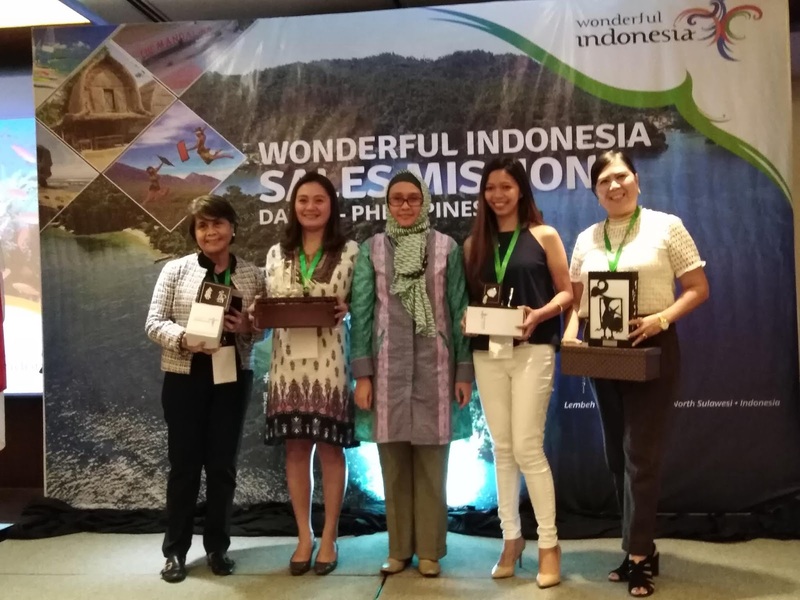 Travel | Wonderful Indonesia’s Sales Mission: First in Davao City! Recently, the Ministry of Tourism of the Republic of Indonesia brought eight (8) tour agents and tour operators from North Sulawesi (Sulut) and West Nusa Tenggara (NTB) to promote different tourist destinations from those regions. It is the first time that the sales mission went to Davao City after a round of sales mission in Manila. 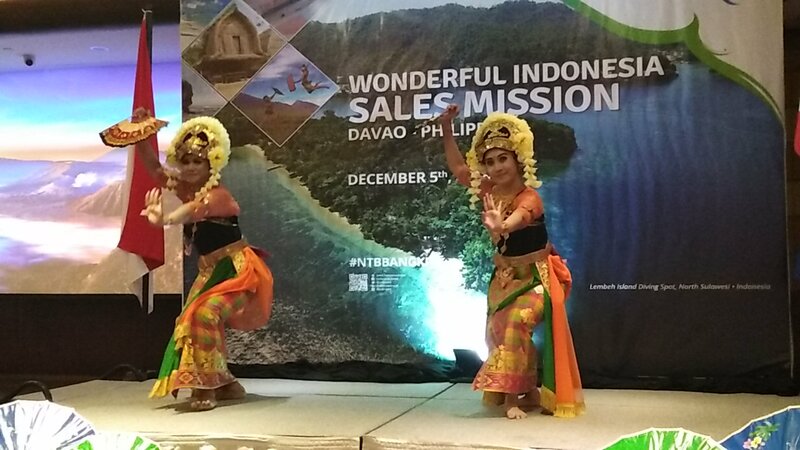 With this activity, every one is excited and hope to revive the direct flight from Davao City, Philippines to Manado, Indonesia. 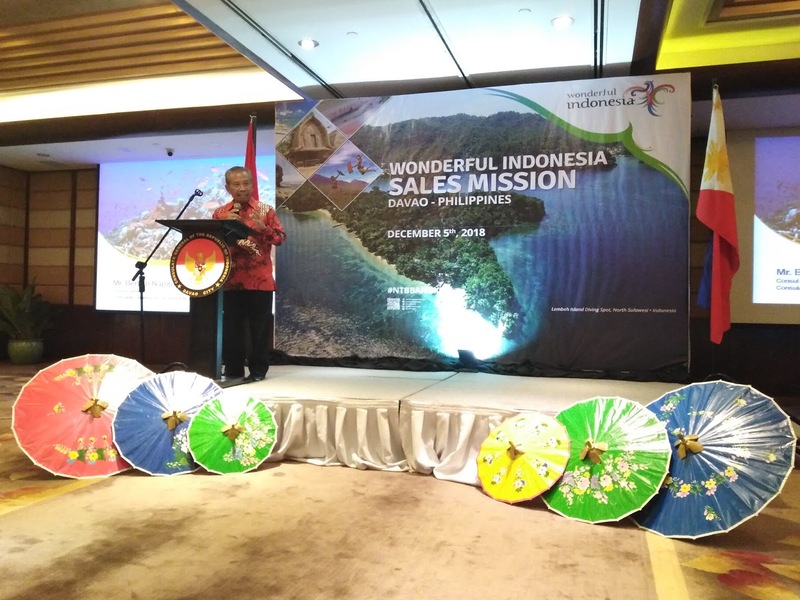 This year the Ministry of Tourism targets to have 17 million visitors all over the world.The Phillippines, as a neighbor, friend and brother country, the ministry targets 180,000 visitors. With much love, as of October this year, Filipino visitors have reached 179,600 or that is 99.8% of the target. That is such a very promising number and hopefully it will increase more. 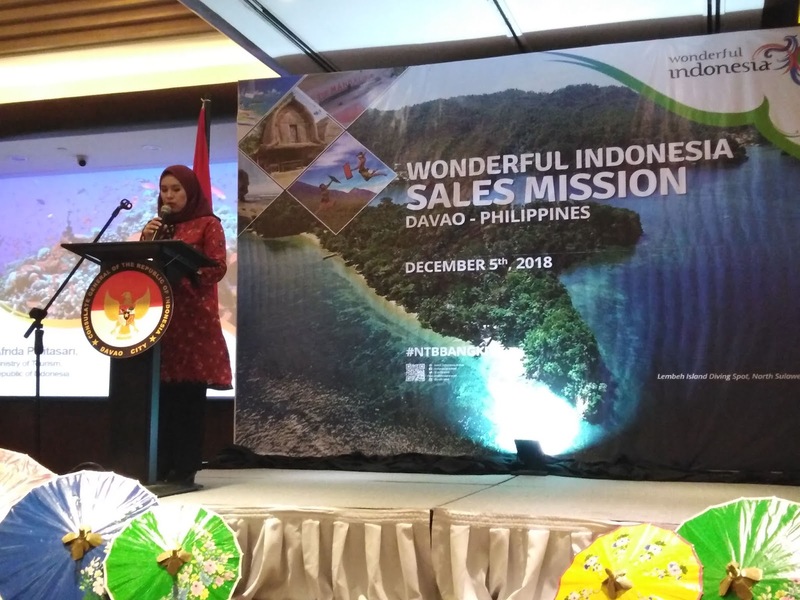 As of the moment, there are three airlines flying from the Philippines to Indonesia, to wit: 1) the Philippine Airlines, 2) Cebu Pacific and 3) AirAsia. The destinations covered by these airlines are Manila-Jakarta and Manila-Denpasar routes. Most interests of Filipino visitors in Indonesia include vacation, shopping and culinary tours. Most visited places of Filipinos are Jakarta, Bali and Batam. With the leadership of ConGen. 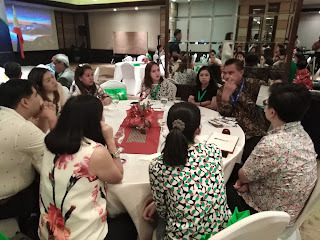 Berlian Napitupulu of the Consulate General of the Republic of Indonesia in Davao City, the sales mission has been made possible in Davao City. There are a lot input that ConGen Napitupulu has given to the guests, especially on exploring potentials to make the air linkage sustainable in the future. He also added that the sales mission is made to create market, create trade and create reason to travel. As such, there could be events that will exchange professionals, exchange of sport events, exchange of youth and exchange of students. In which, one example that ConGen has highlighted was the presence of a good medical school in Davao City wherein 1200 students from India have enrolled. He added that why not for Indonesians? Davao City is nearer to Manado compare to bringing the students to farther places and more expensive. Aside from that, ConGen has shared that in two (2) years they have participated nineteen (19) expos and six (6) of which are solo expos organized by the consulate. These promotional activities are done to make long term deals. 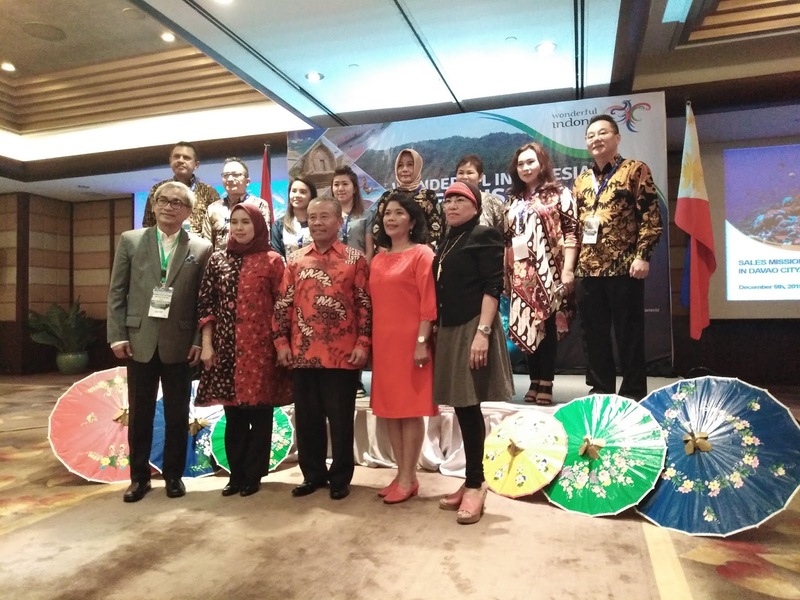 Together with ConGen Napitupulu is the Deputy Director of Promotion for the Philippines and Sulawesi, Mrs. Afrida Pelitasari. She has shared that they have a challenging target for next year that is to have 260,000 Filipino visitors. However, she is hopeful with their five (5) marketing strategy approach to strengthen engagement, to wit: 1) travel mart, 2) fam trip (family or friends trip), 3) sales mission (which is the recent event), 4) Indonesia festival and 5) integrated marketing program with the cooperation between the Ministry of Tourism and airlines, as well as, opening of new air routes. Indeed, the sales mission is a very exciting event which hopes to bring a fruitful future between the Philippines and Indonesia, especially in Davao City. 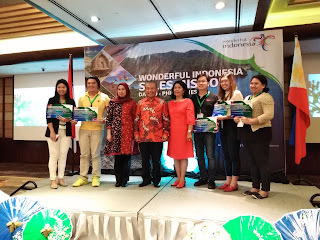 There are cultural shows made by Indonesian dancers, play of tourism promotional ad campaign videos, also a healthy discussion of tour agents and tour operators from Indonesia with Davao tour operators in exploring possible cooperation and one of the most awaited part is the raffle of Indonesian made items and tour packages. Terima Kasih, Indonesia! I hope and pray that the Davao-Manado route will be revived and made sustainable in the future. For further information, visit: www.indonesia.travel.